BSc (Hons) Product Design students have been invited by McGee to design a cycle safe system for an existing construction vehicle (tipper). BSc (Hons) Product Design students have been invited by McGee to design a cycle safe system for an existing construction vehicle. 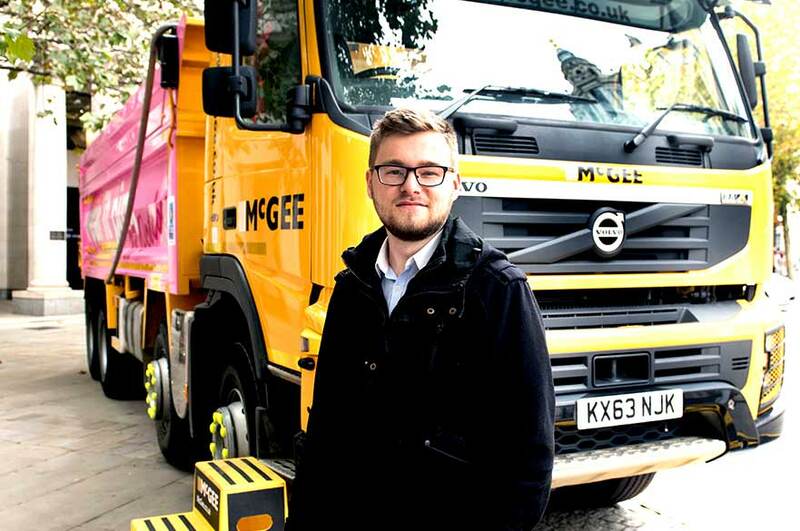 The brief, set by McGee, will challenge students to design a cycle safe system for an existing tipper truck that is aerodynamic, commercially viable and suitable for both off-road and urban conditions. Final year student, Thomas James, started working on the project brief in October, and it will form his final year dissertation module. Over a period of 28 weeks, Thomas will not only be asked to produce concepts and development sketches, details of operational design, costings and manufacturing feasibility, but also a working prototype of his chosen concept which will be fully funded by McGee. Commenting on why he decided to choose this live project brief as his final year dissertation module, Thomas said: "The prospect of working on such a wide ranging and potentially lifesaving brief excites me. The project aims to solve a very real issue and I am looking forward to the design challenges presented by the brief as well as my partnership with McGee." 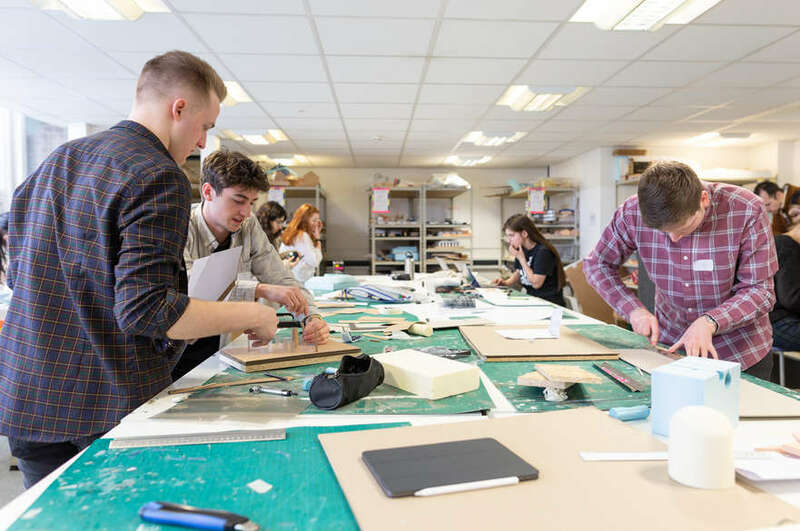 Second year BSc (Hons) Product Design students, around 45 in all, will also have the opportunity to immerse themselves into the design brief as part of a design competition set by McGee. 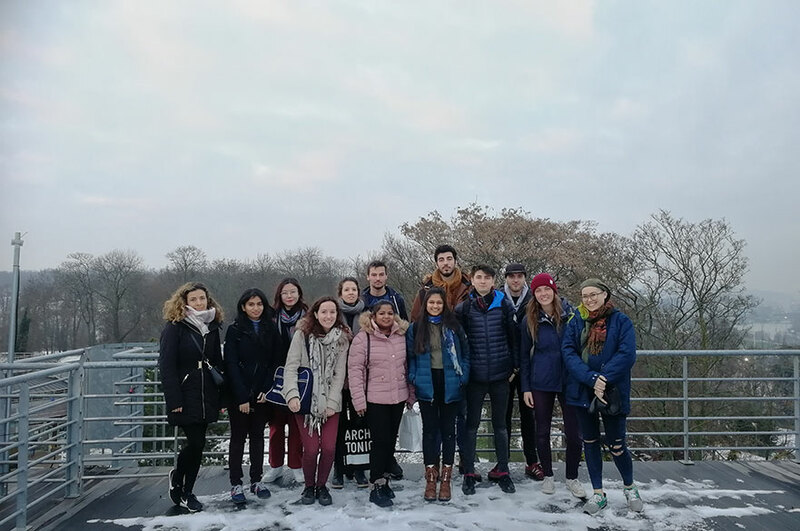 Starting in January 2016, and over a period of just five weeks, teams of four students will develop an idea to concept stage, backed up by all of the necessary research, drawings and feasibility reports. The winning team members will each receive a £500 cash prize which will be awarded by the judging panel. Dr Matthew Watkins, Course Leader and Senior Lecturer, said: "This is an exciting opportunity for students to engage on a genuine real-life project, that has such potential to improve the lives of road users across the UK through innovative technological design solutions." John McGee, Director, added: "We're excited to be embarking on this project with Nottingham Trent University as we look to further enhance our fleet of tippers above and beyond minimum compliance. We are proud to be FORS Gold accredited and a CLOCS Champion, but we know there’s still more that can be done to protect vulnerable road users as we play a key role for many major projects in London. "By working with the BSc (Hons) Product Design students it is our goal to seek fresh new ideas and lead the way with construction vehicle safety in London. 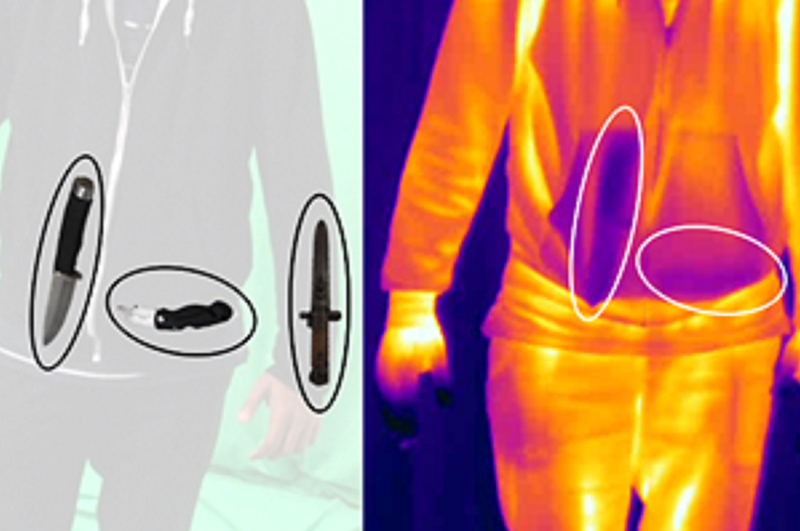 We’re very much looking forward to seeing the concepts that Thomas and the second year students come up with."